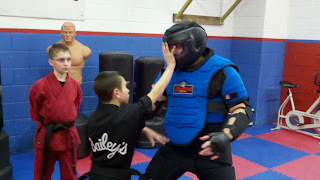 Spartan Training Gear™ is pleased to announce its newest alliance and sponsored school, Pro-Active Safety Systems and Bailey’s Karate. Both Pro-Active and Bailey’s are owned and operated by Tom Arcuri. 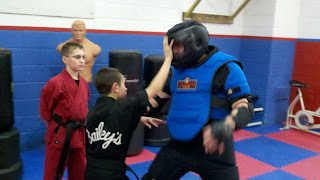 Tom Arcuri’s training in self-defense, safety and confrontation management training began in 1981. 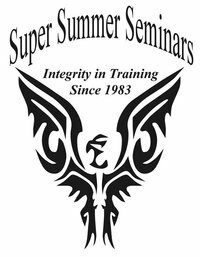 A well-known and respected coach and innovator in the field of personal safety for over 20 years his extensive experience includes multiple certifications in relevant disciplines including Behavioral Management. His philosophy is summed up in the name of the system “Pro” for professional, “Active” predicting and actively addressing the “Safety” concerns of the group or individual in question so that future encounters are “Systematically” handled effectively, efficiently and as safely as possible. The Pro-Active Safety System is the culmination of 30 years of study, training and teaching it’s a holistic approach to confrontation management, personal safety, tactical training and personal development. 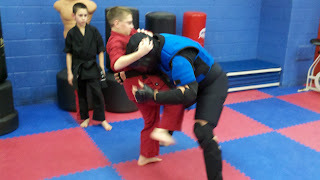 “After 30 years of competing, training and teaching, and (since 1989) hundreds of hours of training and teaching in gear of all types, I can say with some authority that any martial athlete or combatives program will dramatically benefit from incorporating gear in their programs. It is the only way to safely experience the level of realism necessary to pressure check training methods, curriculum or tactics. My staff and I have had the opportunity to thoroughly test Hoplite Training Armour by Spartan Training Gear, and we all agree that it is the finest suit of it’s kind in the world. Having used the High Gear suit exclusively for nine years I can say with confidence that Spartan’s suit is clearly a step up from an already good product. The Hoplite has significant modifications and improvements, with fit and finish that is the best that I have seen. We’re very excited to welcome Tom, P.A.S.S. & Bailey’s into The Spartan Army. We’ve gotten, literally, dozens of emails in the last week from fans asking what this new ‘Spartan’ suit is all about. They want to know about price, sizing, colours, ordering, etc. 1. What exactly is the Hoplite Training Armour™? The name says it all. Multi-Purpose. No other suit on the market allows you the versatility to create and execute such a wide array of drills and scenarios without compromising protection and mobility. 2. How many components make make up the Hoplite Training Armour™? 3. Can I buy the Hoplite Training Armour™ by individual component? Is it more expensive to buy it by component? You can buy whatever you need. We have a pricing structure for the complete suit or by component. The individual price of each component comes out to the exact dollar amount of the complete suit. So no matter how you buy it, you’ll pay exactly the same thing. To the penny. 4. What’s the difference between the Basic and the Elite Hoplite suits and how much are they? 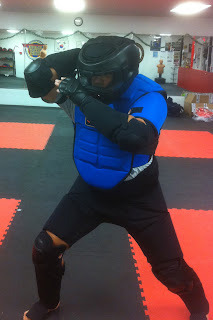 The Hoplite Training Armour™ Basic is designed for hand to hand combat training. 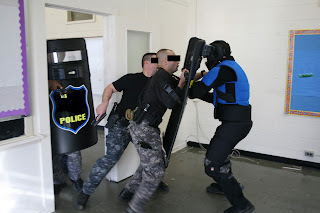 The Hoplite Training Gear™ Elite is essentially the same, but comes with the Armour Lock Hood helmet upgrade and is designed for use during scenarios or drills that incorporate training ammunition. The Basic is $1200. The Elite is $1300. Also, with the purchase of every retail-priced suit, we include a complimentary Spartan Training Gear duffle bag. 5. What is the Hoplite Training Armour™ made of? The outer shell of the suit is constructed of leather, high-tenacity polyester, lycra and mesh. The inner core of the suit incorporates high-density foams and custom-molded plastic trauma plating. 6. What are some of the features and benefits of the Hoplite Training Armour™? Versatility: Can be integrated for use with any ‘system’ or martial arts ‘style’. 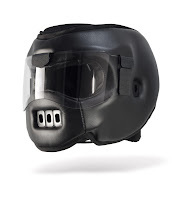 Training ammunition compliant: The Hoplite Helmet is the ultimate in close-quarter battle head protection and perfect for shoot/no shoot scenario training. It exceeds industry standards for safety and has been tested and approved for use with .38 cal, 9mm and 5.56mm marking cartridge rounds. 7. What’s the significance between the red and blue vests? Which am I supposed to buy? The short answer is you can buy whichever one you like. 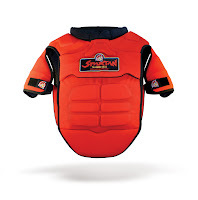 The long answer is as follows: The Crimson Red Hoplite Vest is specifically coloured for instructors and teachers. The Greco Blue Hoplite Vest is coloured for students. Why the difference? So that the instructor/teacher can stand out from the group. In large groups, if everyone is wearing the same colour gear, there’s no way to tell who the ‘leader’ is. If students are wearing one colour and the instructors another, you never have that problem. It’s a simple solution to a common problem. 8. How does the sizing of the Hoplite Training Armour™ work? Sizing for the Hoplite Training Armour™ is as follows. Keep in mind these measurements are approximative. If you are taller, shorter, thinner or heavier, we can accomodate that but may need to customize a suit using different sized components, (IE combining medium and large components). Also, because we get many inquiries from overseas, sizing is given in both imperial and metric. 9. How long does it take to gear up? 10. How much is the shipping? Do you ship worldwide? The shipping costs depend on a few factors. Primarily, where you are in the world and also what you’re ordering. Typically, a complete set of Hoplite Training Armour™ costs about $50 USD to ship within the continental US & Canada. We can ship anywhere in the world, but the rates will vary. We always compare multiple carriers to get you the best rate possible. We’ll contact you prior to shipping to advise you of the costs.